Google Play, and any app store for that matter, is probably filled with tons of yet-to-be-discovered app and gaming gems. 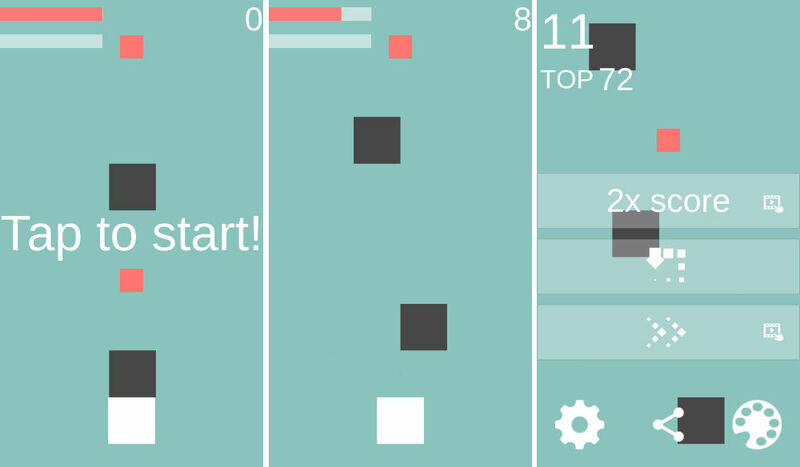 The latest to be discovered, which was first published in late 2015, is Tap’n Slide. The game is very reminiscent of Crossy Road, or the classic Frogger game, but instead of going side to side and backward, you can only go forward. To master the game, you must time your block’s slide perfectly, or you will run into the black blocks that glide horizontally across the screen. Along your journey forward, you must collect red blocks, which give you points. As you slide more and collect more blocks, the points you gain can be used on different color themes for the game. Naturally, the farther you slide, the harder the game becomes with an increase to the size of the obstacles. For a free game, likely done by a one-person team, the controls are rather responsive, and thanks to easy accomplishments, you can really boost your Play Games achievement ranking in no time at all. Within my first 100 slides, I had already gained 10,000 XP on Play Games. As stated in the title, the game is completely free to download on Google Play, and features no ads or IAPs. In 2016, this is somewhat of a rarity. While the gameplay is somewhat repetitious, it’s done well, and for that, I think you should go check it out.